On 26th to 28th of May Omilos will be at Women + Health, a non-profit health centre in London, for three days to offer spiritual healing and healing meditation. 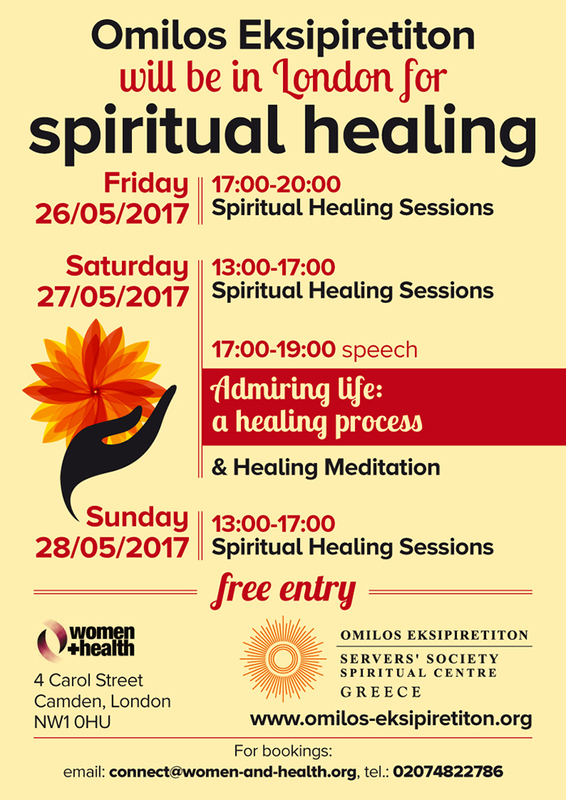 On Saturday 27/5/2017 at 17:00 the President of Omilos will give a speech about simple steps to well-being “Admiring life: a healing process”. The entry is free and you are all welcome to join us and experience the energy of spiritual healing!